Fans may be bummed that Bachelor Pad will not be returning this summer, but a bloopers episode will be coming to TV very soon. The Bachelor’s Funniest Moments will air May 21 on ABC and will feature goofs and mess ups from the past seventeen (!) seasons of the Bachelor and the eight seasons of the Bachelorette. Usually a blooper reel is shown during the After the Final Rose episode when a season is over, but it always seems like they are short and you know that there are more mishaps than they show. 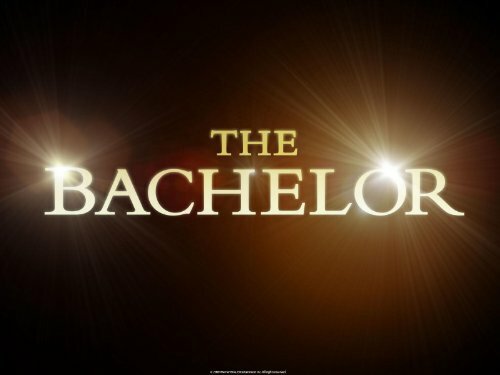 No word on why Bachelor Pad is not airing or whether it has been cancelled for good, but the Bachelorette will still be airing a new season. Desiree Hartsock, Sean Lowe’s fourth runner-up, will be handing out the roses this time. Hartsock was a fan favorite during Lowe’s season, but a tense moment between Lowe and her brother made her hometown date awkward and she was sent home. Hartsock was chosen before Lowe’s season was over and she was revealed as the Bachelorette on the After the Final Rose special back in March. Her season began filming soon after the announcement was made. Look for Hartsock’s journey to start May 27 on ABC.